Named after the Spanish word montaña or mountain, today Montana is popularly known as Big Sky Country for its incredible vistas still reminiscent of the Old West. Today, Wild West history also still factors big in the tourism industry. Especially at an infamous military location where, in 1876, General George Custer and 200 of his men were slaughtered by Lakota and Cheyenne warriors at the Battle of Little Big Horn. Major tourist attractions include Glacier National Park, Yellowstone National Park, and Fort Union Trading Post, along with more scenic splendor at Great Falls. Indoor Montana attractions include the awesome Museum of the Rockies in Boseman featuring a rich trove of kid-friendly attractions including local dinosaur fossils, a planetarium, and a living history museum. Montana - mountains, plains and Big Sky Country. Or, leave daylight behind with a descent into mysterious and majestic stalactites and stalagmites with a tour of Lewis & Clark Caverns at Lewis & Clark State Park. Buffalo in the wild, at National Bison Range. • The "Going to the Sun Road" in Glacier Park is considered one of the most scenic drives in America. • Say it right. A creek in Montana is still often pronounced "crick." If you pay too much for a souvenir it's "spendy" not "pricey". 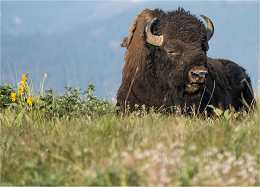 • Buffalo in the wild can still be viewed at the National Bison Range in Moiese. • Alaska wins the prize for most grizzlies in the US, but Montana the largest grizzly bear population in the lower 48 states. 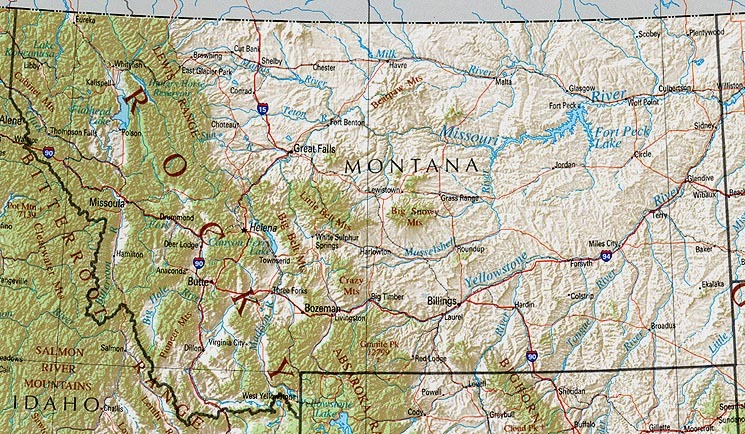 Montana Vacation, Adventure, Recreation and Travel Planning Guide - The official site with information on major attractions by region, resort vacations, state parks, hunting & fishing guides, news & feature stories, photo gallery, maps & weather reports. Montana Magazine - The digital version of the print travel magazine with special feature stories & Montana travel highlights, related links, subscription information. Montana Resorts & Lodges - One-stop browsing for top vacation resorts by region including lodges, ranches, condo rentals, ski resorts and more with related information on Montana attractions, campgrounds & restaurants.